Rebel Fitness was featured by the Jewish News in recognition of the launch of the new gym, now open in Bloomfield Hills. Rebel Fitness opens in Bloomfield Twp. 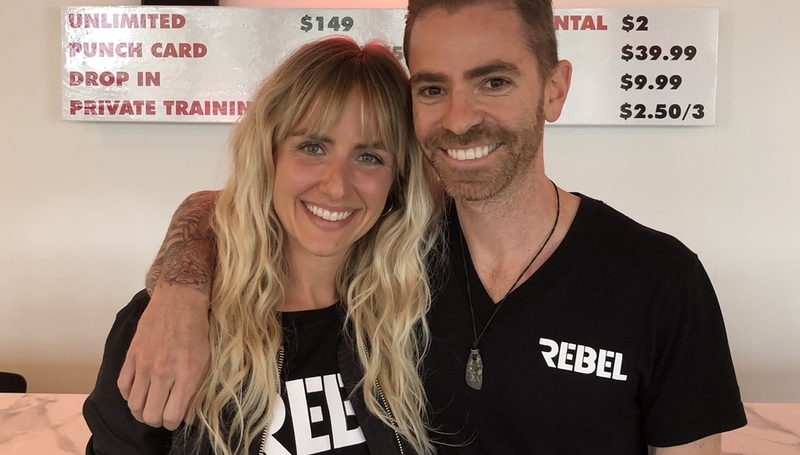 Boutique boxing studio Rebel Fitness opened its doors on April 20 in Bloomfield Township, and owners Noah Dorfman, 36, and Michelle Landry, 32, couldn’t be more excited. The couple, both natives of Bloomfield Hills, maintain that their new venture is a perfect combination of their interests. This may be their first venture into the world of fitness, but with their backgrounds in hospitality and real estate, Dorfman and Landry are experts in providing top-notch client service.